Swedes Worldwide´s Board of Directors is elected in the end of August at the annual meeting each year. They are primarily responsible for the organization’s business between annual meetings. The Board meet regularly throughout the year, and also share obligations in a number of working groups focusing on matters such as strategy, finance, programs, communication, returning Swedes and the nomination committee. Below is a presentation of the Board for fiscal year 2016. 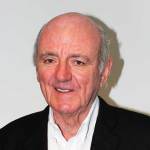 Tuve Johannesson received his MBA degree at the University of Lund in 1968 and he has extensive experience in Swedish and international business. Tuve's career started at Tetra Pak where he has held the positions as President of South Africa, Australia and Tetra Pak International. For a number of years, Tuve was also Group Executive Vice President and Director of Tetra Pak Rausing in Switzerland. He then went on to the automotive industry as President & CEO of VME Group, now Volvo Construction Equipment, in Belgium and then continued to Volvo Car Corporation in Sweden as President & CEO. 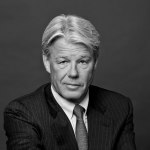 Tuve also has extensive board experience, including Chairman of Findus AB, Gorthon Lines, IBX AB and Ecolean International A/S and as Vice Chairman of Volvo Car Corporation. He has also worked in the Board of Directors in SEB for many years, both as a member of the Board and Vice Chairman. Moreover, Tuve has also been Senior Industrial Advisor to EQT and in 2005 he was appointed an Honorary Doctorate in economics at the School of Economics in Lund. 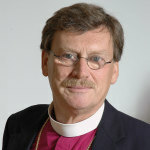 Lennart Koskinen is the bishop emeritus who among other things has worked as a sailor priest in Peru and Brazil, dean of Stockholm and the Swedish bishop in the Church abroad. Now he is a partner in Gaia Leadership who coach decision makers in private and public sectors – both in Sweden and abroad. Through Swedes Worldwide Lennart wishes to help Swedes living abroad in difficulty and crisis, with questions about the burial of the deceased in their home country and to break the isolation many can experience. Cecilia Borglin has over 20 years of experience in a wide range of communication disciplines. She has a broad experience from the business sector as well as the NGO sector and has had different roles linked to change management, communication counselling, corporate communications , internal communications, PR, crisis management and event. Between 2008-2010 she and her family lived in Sydney, Australia. As Secretary-General she aims to further develop the mission and visibility of Swedes Worldwide. 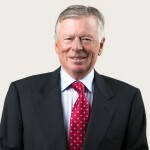 Erik Belfrage graduated from Stockholm School on Economics with an MBA in 1970 and then started his diplomatic career working in Geneva, Washington, Paris and more. After his diplomatic career he became senior vice President at SEB and the advisor to Dr. Peter Wallenberg. Board membership experience is nothing new and he has been involved in it since 1990 working with institutions such as Atlas Copco and Swedish Institute of International Affairs. Today he is chairman and partner to Consilio International AB. Henrietta Flodell is internationally responsible and the vice president for Saco, which is Sweden’s leading student faculty with over 100, 000 members. Her studies is in political science from Lund University and she did her internship at the Swedish Ministry for Foreign Affairs. She believes the situation for Swedish students studying abroad is extremely important and that they face a unfair disadvantage as their merits and competence are not valued as they ought to be, by the Swedish labour market. 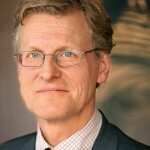 Claes-Johan Geijer has extensive experience in the industrial and banking world. 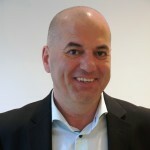 He has worked for Swedish Match, Stora and Lexmark Corporation in several countries. 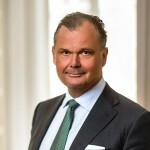 Claes-Johan has also been CEO of Swedbank in London and Luxembourg and the private bank Banque Carnegie of the latter country. Today he works as an independent advisor and board member with Luxembourg as a base and is also the Swedish honorary consul in the country. Gunnar Gillberg graduated from the Stockholm School of Economics in 1967. Gunnar has enjoyed a stellar business career in the US while keeping in touch with the Swedish business world. Throughout the years he has had various assignments with large Swedish companies, such as Astra, Swedish Match, Svenska Varv, Tarkett and Kanthal. Ibbe Gnem is an entrepreneur and the CEO of Distriktstandvården.se (Online dental service) which consists of 18 clinics. He has previously held senior positions in the IT industry, including ownership and CEO of Megabyte Systems. Ibbe is active in boards and non-profit organizations, such as the Entrepreneurs and the Palestine International Business Forum. He also lectures on positive leadership and is co-author of the book "Leadership School - Who is behind the wheel?" 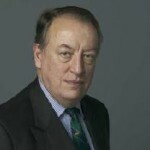 Jonas Hafström graduated in law from the University of Lund in 1974, and after the clerkship he was accepted at the Ministry for Foreign Affairs in 1979. Jonas has moreover worked as Press Secretary to the Minister of Justice and as First Embassy Secretary in Tehran and Washington, D.C. Between 1987 and 1999 Jonas served as foreign policy adviser to Carl Bildt. He has served as Head of Unit for Consular Affairs and Civil Affairs at the Ministry for Foreign Affairs. Jonas was also the Swedish ambassador to Thailand (accredited also to Laos, Cambodia and Burma/Myanmar). Between 2007 and 2013 he was the Swedish ambassador to the US, and since March 2015 he is the Chairman of the Board of Lund University. Kai Hammerich has, after university degrees, a background in journalism, international organizations, the business sector, "government" and entrepreneurship. 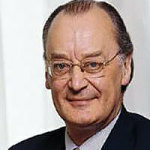 He was formerly vice president of Saab-Scania AB and Director-General of Invest in Sweden Agency. Today he runs his own company and is a board member in a number of companies. 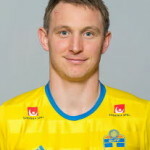 Kim Källström is a renowned Swedish footballer born in Sandviken. With his 542 professional football games for club teams he has reached great success in winning numerous domestic cups around Europe. Already in his first season he helped Häcken promote to the Swedish first division. Not only has he played over 500 games in club level but also 131 games for the Swedish national team and was voted as the yearly midfielder in 2009, 2011 and 2012 by Fotbollsgalan. In his career he has played around Europe; England, France, Russia, Sweden and Switzerland. In 2017 he returned to Djurgården IF to play one year before he retired from professional football. He now works as a consultant and is an expert on Eurosport’s football analysis. 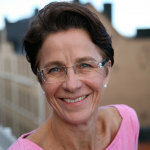 Birgitta Laurent is a lawyer and economist at the Confederation of Swedish Enterprise with responsibility for public procurement and competition issues. 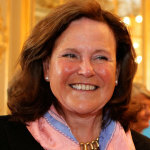 She previously served as international secretary of the then Swedish Employers' Confederation and surveyed tax and social security system in the EU. This meant among other things that she traveled around Europe in order to describe families living conditions, concluded in a book. She has also served as chief secretary in a government investigation which analyzed social welfare and equality from a European perspective. Finally, Birgitta was responsible for ILO issues, relating to employers' commitment to the UN's International Labor Organization. Erika Lundquist has been working for SEB since 2008 and became the manager for SEB private banking in 2017. She has diverse experience within banking from variety of branches. In 2014-2017 she was appointed manager for SEB in Luxembourg, she has also worked within ABB. Her education is in Business Administration from Lund university as well as in Paris. 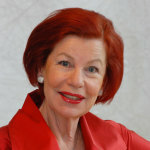 Åsa Lena Loof has a background in special pedagogics, psychology, and school management – trained in Sweden, USA and the UK. During her time as principal of the Swedish School in London a secondary school was introduced. For seven years (five years as chairman) Åsa Lena was the responsible of SWEA International Inc. She lives in Florida and is active at the Swedish consulate, church, school, SACC and SWEA and is a board member of the Swedish Council of America, Friends of the Conservatory of Music, Lynn University, The Kisengo Foundation for Democratic Republic of Congo, The Advisory Board at the Women's Wellness Center, Boca Raton Hospital. 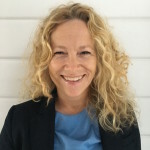 Claudia Olsson is the founder and CEO of Exponential Holding AB and affiliated to the faculty at Singularity University, NASA Ames Research Center in Silicon Valley. 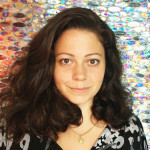 Claudia has worked at the Ministry for Foreign Affairs as an expert in technical development. She is the founder and originator of several companies and initiatives in education and digital health. Claudia has lived in Singapore where she as CEO led the reconstruction of the ACCESS Health International in Southeast Asia. She has also worked for the UN Economic and Social Council in New York. 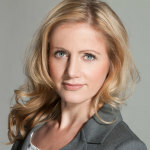 Karin Ehnbom-Palmquist began as a student politician and information officer at the University of Lund. 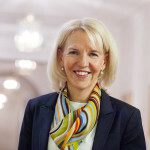 She has since made a career in the Foreign Ministry and served at the Consulate General in Chicago, the Embassy in Bonn, as head of the Swedish Information Office in New York City, second in command at the embassy in Caracas, Venezuela, and Ambassador to Mexico, Australia and New Zealand. She has also been the Chief of Protocol at the Foreign Office. As General Secretary of Swedes Worldwide Karin wants to promote the interest of Swedes abroad and to see them as a valuable resource. 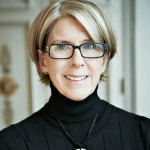 Annika Rembe is the General Director of the Swedish Institute and chairman of its advisory council. She has extensive experience of promoting Sweden abroad, including as General Commissioner of Sweden's participation in the World Expo 2010 in Shanghai, as Head of Communications at Invest Sweden and as Chairman of the European Union National Institutes for Culture. In her role as a board member of Swedes Worldwide Annika wants to raise issues among others related to international exchange for work, study and research. Henry Stenson graduated from Linkoping University with a political science and law degree, where afterwards he did his officers program at Karlberg. Outside education he has been politically active with the Moderate party, starting in the Moderate Youth League being in charge of various districts resulting as the chairman of Stockholm City 2011-2015. 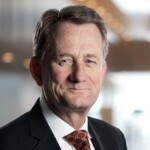 He has a long experience in the information directive with companies such as; Saab, Volvo, SAS and Ericsson. At the moment he is a senior advisor to AB Volvo. 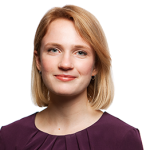 Lisa Emelia Svensson is a diplomat and has worked at the the Swedish Trade Council in New York, at the Embassy in Washington DC and at the European Commission's trade directorate in Brussels, as an expert on sustainable development. Lisa was previously an ambassador for sustainable business in the State Department. Today she works as the Swedish marine and water ambassador. She has a PhD from the School of Economics. In Swedes Worldwide, Lisa Emelia – based on how the world looks today – wants to put Sweden on the worldmap and to bring the world to Sweden. Swedes Worldwide is the main lobbying organization for Swedes abroad. We have a unique role in the home country, being a representative of more than 660 000 Swedes who live in other countries.